Jex Malone F. A. Q.
Q: Who is Jex Malone? A: Jessica Malone is the daughter of a homicide detective, John Malone, and an archaeologist, Beatrice Malone. She prefers to be called Jex, a nickname her dad gave her because he wasn’t quite sure what to do with a girly-girl. Jex has lived with her mom in New Jersey after her parents split up when she was very young. Their marriage fell apart after John Malone became obsessed with solving the case of a girl who went missing right in their neighborhood. Q: So what’s Jex like? A: She’s a bit of a handful, if we must be honest. She’s pretty independent and likes to make her own decisions. If there was someone who would campaign for kids’ rights, it would be Jex. Q: So how does she end up in Nevada for the summer? A: Court order. It takes nothing less with Jex. Q: Nat, Deva and Cissy? What’s their stories? A: They are the best of friends who have lived near each other since they were tots. Nat is a science genius who loves forensics; Deva is a fashionista who has the benefits of absentee, wealthy parents and an easily-distracted nanny; and Cissy is the sweetest soul on the planet. They meet Jex and discover they’ve also got a strong, independent side to their personalities they never quite knew existed. Q: And Patty Matthews, who is she? A: The saddest girl who ever lived. She was the girl who faded into the background and whose pain went unnoticed until the night she vanished. Q: We hear Patty had a cute brother? A: Uh-huh. That would totally be true. Q: So what happens when all these interesting and attractive people get together on a boring summer in the middle of a desert town? Sounds like they could get into some trouble! A: And how! 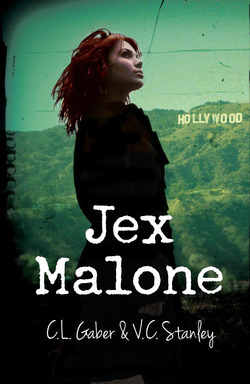 You’re going to have to read Jex Malone to find out the whole story!